Project a classic silhouette and carry off the clothes you wear stylishly and in absolute style, in this pair of chic red lace-up shoes from Allen Solly. 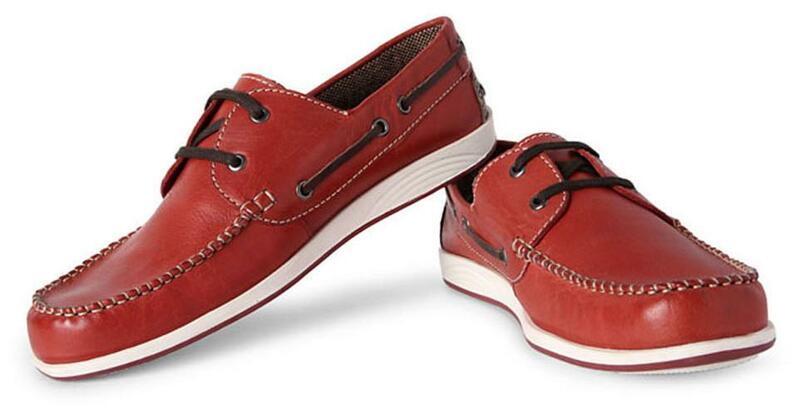 Crafted from soft comfortable material, this pair can be worn with cotton pants and a crisp shirt for maximum effect. Add these shoes to your collection now!